The healthcare industry collects and generates enormous amounts of data that has to be analyzed, processed and interpreted to provide insights that will shape intelligent decisions. Biostatistics, the application of statistics to life sciences data, plays a key role in this process, helping to test hypotheses, perform statistical analyses and make accurate inferences. Biostatistics experts are usually well-versed in statistical programs, tools and techniques such as R, STATA, SPSS, SAS and Excel. They help design clinical trials, assess the impact of public health programs, measure the efficacy of drugs, and develop evidence-based healthcare. The medical industry is continuously innovating, and new treatments are being developed at top speed. Before a treatment is offered to the public, it first undergoes a series of tests and trials that validate its safety and efficiency. These studies involve data collection, analysis and interpretation. A biostatistician helps design the study, optimize the sample size, choose appropriate data collection methods, eliminate coincidences and remove misleading information from data. 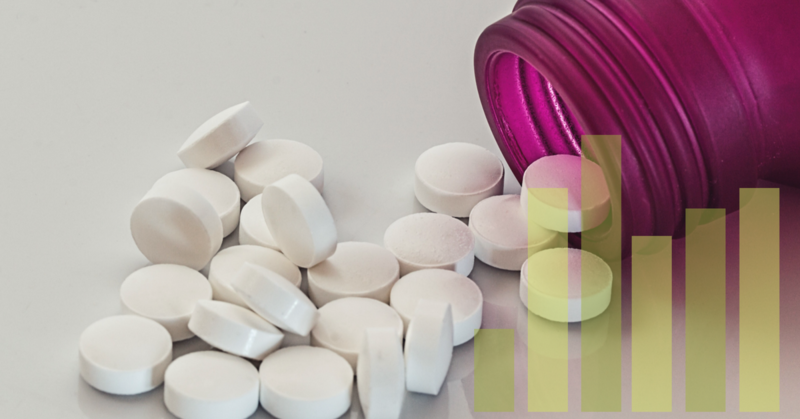 Biostatistics specialists draw accurate conclusions in comparison studies, which test if a new or alternative drug is better than the existing ones in the market. Biostatistics experts use statistical techniques to assess the impact of public health programs and initiatives being undertaken by governments, nonprofits and hospitals. They develop robust studies and sampling techniques that help researchers understand how well an initiative is performing and whether that model can be replicated in other areas. Recently, Jessica Adams, a healthcare social worker, used Kolabtree to hire a experienced scientist who helped her assess the impact of an HIV-awareness festival in Uganda. There are various factors that influence the cause, outbreak and distribution of a disease. Epidemiological studies aim to identify these factors by collecting various data related to the disease, and deriving the link between the cause and effect. Based on the outcome, public health policies and preventive healthcare measures are developed. Understanding the correlation between the variables requires the skill of a biostatistics specialist, who can extract the most meaningful information from the data. Historically, statistical evidence has always filled in the missing link: for example, the 1954 publication of the results of a study led by Richard Doll and Austin Bradford Hill lent very strong statistical support to the link between smoking and lung cancer. Data analysts and statisticians also played a key role in understanding the Ebola epidemic in West Africa through statistical analyses and visualization techniques. Survival statistics help estimate how long a terminally ill patient will live and guides treatment accordingly. For patients affected with cancer, these statistics (typically given as five-year relative rates) help understand the best treatment option, chances of remission, chances of survival post-remission and the chances of living a disease-free life after treatment. Biostatistics experts are able to put forth numbers drawn from the careful examination of previous studies, providing both doctor and patient with reference data. Biostatistics also plays a huge role in systematic reviews and meta-analysis of medical data, which can in turn be useful in developing evidence-based healthcare. Meta-analysis is a structured study design which evaluates all the previous medical research published on a specific topic. Drawing conclusions from these studies require integration of individual results and outcomes into reliable findings that will guide further research. For example, meta-analysis can be used to determine if an individual has a risk factor for a disease, what kind of environmental and genetic factors play a role in a disease, and what kind of treatment should be given to the patient. Having a biostatistics expert study the literature and provide a rigorous, quantitative review of it helps healthcare providers improve their chances of delivering successful, data-driven treatment. Genome sequencing generates large amounts of data that can help scientists understand complex traits. Sophisticated tools and software help sequence entire genomes quickly, providing insights into identifying variants that cause disease. Data from the variant genome is typically compared to the reference genome of the individual or a control group. Biostatistics experts study variant frequencies in populations according to specific parameters such as blood type, ethnicity, etc. and draw conclusions as to how the genetic make-up of an individual or subpopulation can affect if they’re at-risk or prone to specific conditions. In analyzing genomic data, R is widely used, as is Matlab. Biostatistics finds application in almost every branch of healthcare, providing a strong base on which evaluation, assessment and treatment models can be built. It helps hospitals improve efficiency, pharma companies improve quality and safety of goods and services, and governments improve public health policies and programs. It also helps develop cost-effective treatment and implement preventive healthcare measures. Overall, biostatistics enables healthcare professionals to take data-driven decisions and deliver effective evidence-based healthcare. Kolabtree has over hundreds of freelance biostatisticians ready to help you with your next project. Consult them for your project here.